Life is smelling pretty sweet in many ways this summer! 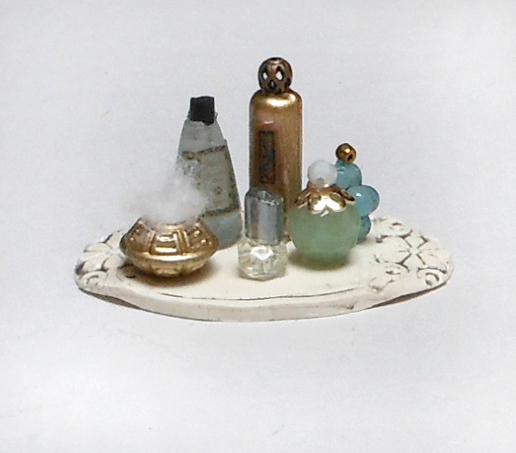 Here’s a page I just put together for a tutorial on making a miniature perfume bottle set for fashion dolls. I love making miniatures, playing with graphic arts, and creating with beads. This combines all of them in a project that doll collectors and little girls (and big little girls) who love dolls can appreciate. I’m going to be making lots more this month, and you can learn even more taking a class with me at KCP Gallery August 29th from 11-1pm. The cost is $20 per student and all materials and tools are supplied–bring your favorite doll and create something just the right size, leave class with a finished project and LOTS of ideas for more!